After the deal closes, a financial professional can help the parties handle their post-deal tax and accounting issues, including postclosing purchase price adjustments. In-house accounting personnel are often unfamiliar with how to account for changes following an M&A transaction. 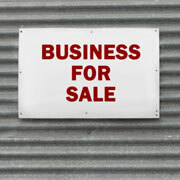 For the seller, this means winding down any unsold business operations and handling capital gains tax issues. For the buyer, it translates to fresh-start accounting, including new depreciation schedules and purchase price allocations. Smart business owners always operate as if they’re planning to sell — because they never know when someone will come along with an irresistible offer or when tragedy might strike. So what does it mean to operate “sale ready”? It means preparing reliable, transparent financial statements that comply with Generally Accepted Accounting Principles (GAAP). It means hiring a CPA to audit your books, creating formal plans and budgets, and implementing a strong system of internal controls. It means engaging a qualified appraiser for regular business valuations. As a private business owner, you may find that an M&A transaction is the most important and difficult challenge you’ll ever face. Why leave anything to chance? Allow experts that have been through this process to help you navigate what may be the most important transaction you encounter. The Fahrenheit Group brings experience-based, C-Suite thinking to businesses in transition. Our consultants – who have lead fast growing and profitable organizations, raised capital, and exited businesses – arm leadership teams with the strategy, knowledge, and expertise to inform decision-making and drive value. Whether you’re an emerging company or an established business, our team can get you from point A to B, including strategic planning, value creation, fund raising, exit strategy preparedness, and M&A-related services.